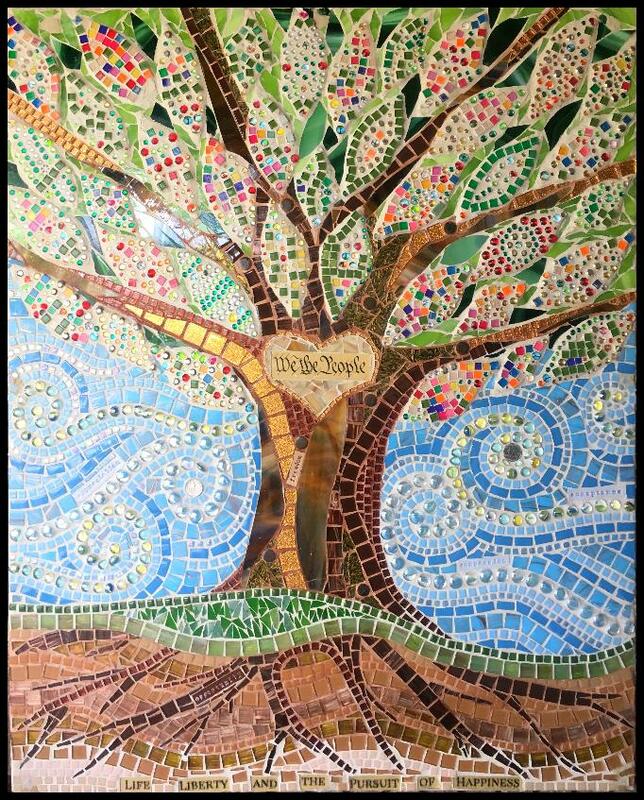 This mosaic was installed at the West Bath Maine Elementary School. 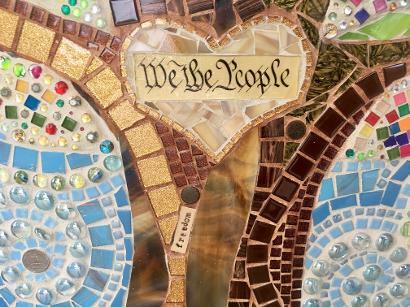 The whole piece is a celebration of immigration in the United States. The West Bath Maine 3rd grade class came to my studio to create the leaves! There is wonderful symbolism that the kids came up with hidden all through the piece. The roots symbolize the pushes and pulls people feel when deciding to immigrate. The dirt is made of the many skin colors that make up our country. The two quarters because: The front, for George Washington. The back because it reads E PLURIBUS UNUM, which means "out of many, one". There are 6 branches which represent the 6 continents that people immigrated from. "We the People" is on the trunk of the tree because our constitution supports us and keeps us strong. 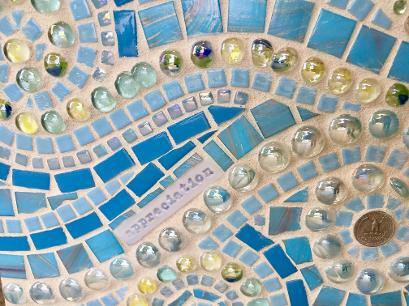 There are words hidden throughout the piece that represent compassion for American immigrants.